Avignon is a beautiful city manly famous for the Papacy which lasted from 1309 to 1377, when seven popes resided in the city. 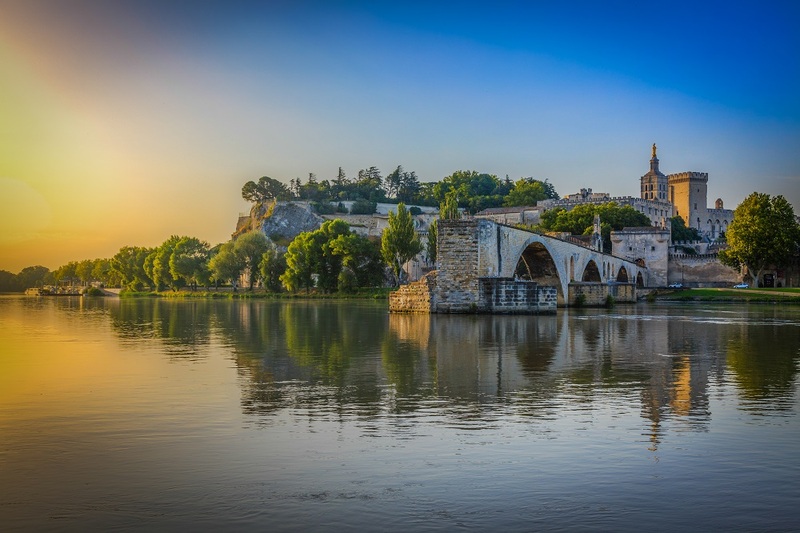 The historic centre is part of the UNESCO World Heritage and the major sights are without a doubt the Papal Palace and the Saint-Bénézet Bridge. The first – in French, Palais des Papes – was the house of all the popes who lived in Avignon and shows the beauty and magnificence of Gothic architecture. It is composed by two buildings, the old and the new palace: they were the centre of the papal organization and power. Saint-Bénézet bridge lies on the Rhône: nowadays, you can only see four of the twenty-two arches that were built at the beginning, but the fascinating architecture is still intact. 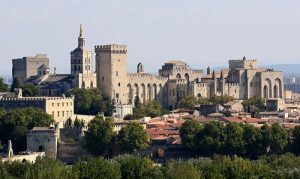 Along with these two sights, you can visit the Avignon Cathedral, a Romanesque building listed as historical monument. Y ou can take a break at Place de l’Horloge, an elegant and typical square in the city centre, or in the Garden called Rocher des doms, a Neolithic site covered with a public garden. Besides, the city of Avignon is also very famous for its art and theatre festival which is held in July in the Papal Palace, one of the oldest and greatest festivals in the world, and for wine and seasonal markets (along rue des teinturiers).